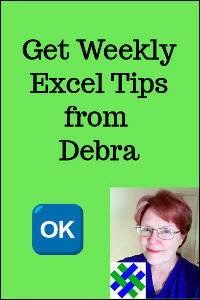 Excel has some powerful features, but it's not perfect. To add to its capabilities, I use a few free add-ins that make Excel even better, and asked other people what free add-ins they use, and would recommend. NOTE: After a recent Microsoft update, some Excel add-ins (mine and others) are not loading correctly. To show the add-ins, follow the instructions here. Here's the list, starting with my favourites. Maybe you'll see a few that you can download and install, and make working in Excel a bit easier. This add-in, developed by Rob Bovey of AppsPro, has handy tools for working with named ranges, worksheets and selections. With the Excel Utilities commands, you can quickly protect and unprotect all the sheets in a workbook, remove unused styles, or centre across a selection, without merging cells. There are too many features to list here. 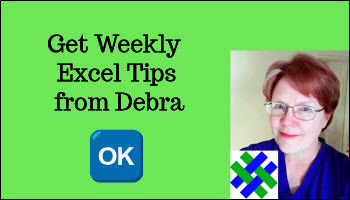 Read the full description on Rob's page for Excel Utilities. The Name Manager, by Jan Karel Pieterse of JKP Application Development Services, is much better than the Name features that come with Excel. If you use names in Excel, you'll appreciate the Name Manager. Find names with errors and delete them, or track names that link to another workbook. Take a couple of minutes to download Name Manager, and you'll be amazed by how much time and frustration it can save you. Here are some of the other recommended free Excel add-ins. Search entire workbook, including buttons, etc.